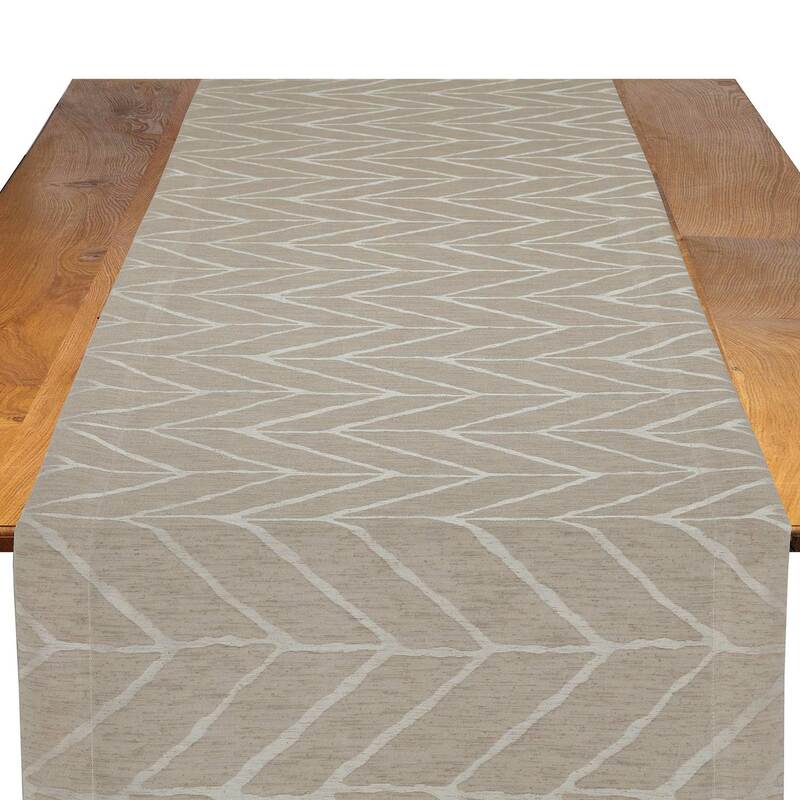 Glamorous yet essentially practical, the bone pattern of this ivory Enzo table runner is relaxed and stylish. The unique and elegant design of this runner can serve as a unique addition for any event table, offering an original look for special occasions of all types. 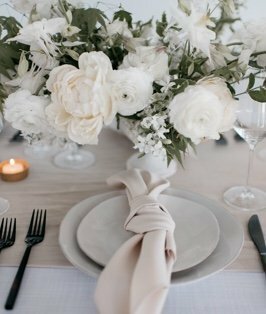 With this linen and other matching decor, you can leave your guests impressed and create an unforgettable layout. You can also combine this runner with any of the other designs in the Everlast Kehoe Collection, a collection of our Designer Series, to transform the look of your venue.